The procurement and sale of illegal weapons worldwide is complex and includes multiple venues whereby individuals, criminal and terrorist organizations can buy these arms. Once bought it is rather easy to trade them across international borders, due to lax security, corrupt agents, and open borders that can be used in the facilitation of procurement, selling and use of these weapons. Once across these borders, they are often used in conflicts around the globe and by terrorist organizations who use them against innocent civilians. 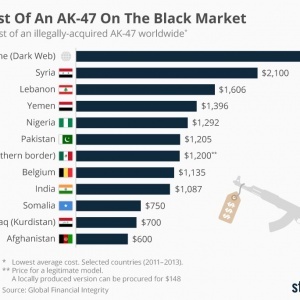 In today’s rapidly advancing digital age, additional venues facilitate black markets which furthers the sale of weaponry and illegal banned digital materials. The largest exporter of legal weapons, the US is also the most common source country for arms found on the dark web. Approximately, 60 per cent of these weapons originate from the US according to a recent Rand Corporation research paper. It is known that the entirety of arms sale around the world is approximately 60 billion dollars. According to the Arms Control Association, the United States controls the arms market with a 33% share of the trade. Russia comes in second with a 10% lag the United States. There are estimates that state, 10–20% of the arms traded ending up on the illegal arms black market. This market today includes new avenues for illicit trade, such as the Dark Web. The use of Blockchain Technology could help fight the trade of these illegal weapons by creating a multi-national immutable database that would track any weapons from the time of their inception. This would allow for the building of a digital safe comparable to a crypto currency owner’s digital wallet. Allowing for a digital and distributed database would help prevent the hacking of any one system. This being essential as it would lessen the possibility of a single hack that is used to cover up illegal sale and procurement of weaponry from a single database. We know this to be true, as blockchain technology and multinational lists would be distributed and not held in a single location. While blockchain technology can help in the fight of illicit trafficking, it is only one tool in the utilization of this fight. Blockchain should not be an end all, rather a partner among many others. It is time that governments start thinking how to technologically fight this trade if it is too have a better chance of succeeding. Contact the author,Andrew Bloom or the Government Blockchain Assocation Law Enforcement Working Group (Free for government civil servants). 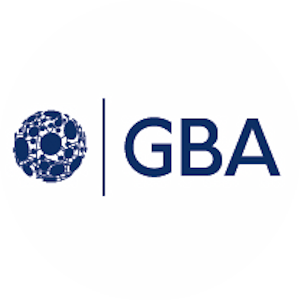 ← PreviousWhy Use Blockchain for Genetics and for Storing DNA Sequences?